The libraries on both campuses will be outfitted with faculty iPads in the next few weeks. The first installment has arrived at Main Campus, so if you’d like to check one out, please come by the MC library on Monday. 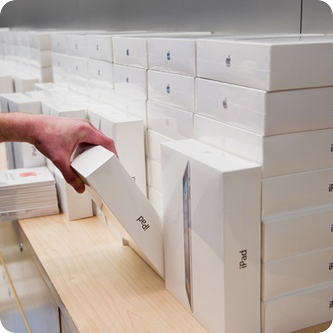 These iPads are available on a first-come, first-served basis, but if you miss your chance this week, let us know if you’d like to be alerted when the next shipment arrives.